Dundee, Scotland’s 4th largest city is a vibrant and modern city set on the banks of the River Tay. 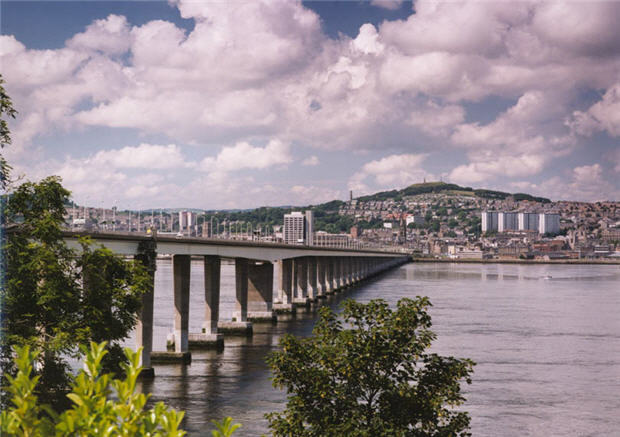 In recent years, Dundee has done much to reinvent itself and cement its position as the economic centre for Tayside and a key player in 21st century Scotland, renowned as a centre of excellence in life sciences and the creative industries. Proposed infrastructural developments, including the 20 year Waterfront redevelopment strategy and both the University of Dundee and the University of Abertay’s plans to develop their campuses, will support the continued regeneration of the City and its’ economy. Dundee has utilised European Regional Development Funding to great effect and this support has been key to the redevelopment of the City, enabling developments such as the Wellcome Trust Centre for Interdisciplinary Research, which will employ 200 scientists; the creation of the City’s Technopole and incubator units to support spin-out from the life science sector; innovative and promotional marketing campaigns such as the City of Discovery, BioDundee and Invest Dundee which led to Dundee being named as European Cities of the Future – best Foreign Direct Investment Strategy in 2004/05 and community regeneration activities which help ensure that Dundee is a great place to live, work and do business. Dundee has twinning arrangements with Wurzburg in Germany, Zadar in Croatia and Orleans in France (established in 1946). More informal links have been established with a number of European cities throughout the years. Local schools have also participated in a number of “exchanges”, both real and virtual, over the years, through Socrates and Comenius. The University of Dundee, the University of Abertay and Dundee College implement initiatives through a number of European funding strands including Leonardo and the 6th Framework.